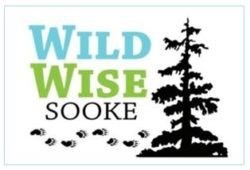 Wild Wise Sooke (WWS) was founded in conjunction with Transition Sooke and in partnership with the District of Sooke, the BC Conservation Officer Service and neighbourhood ambassadors. 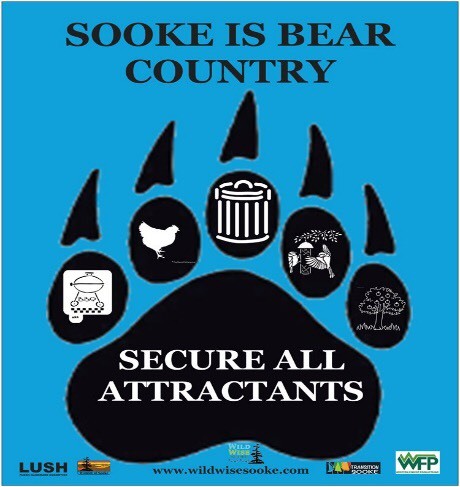 We are a volunteer run wildlife educational program working to promote coexistence between the Sooke community and our wild neighbours. To reduce human-wildlife conflict in the community through public education. 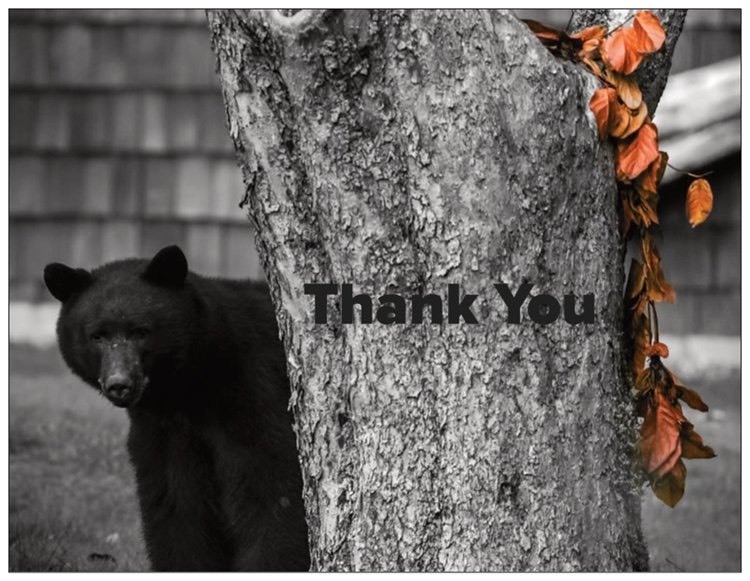 Garbage: Garbage is the #1 attractant for bears… habituated garbage bears can become bold, unpredictable and potentially very dangerous. It is imperative to store garbage in secure location (like a closed garage) until the morning of collection to prevent habituation. This will keep the bears wild and the community safe! Please also freeze organic waste to reduce smell and only put out to the road the morning of collection. Bird feeders: Many Sooke residents like seeing birds in their backyards. We recommend planting bird-friendly plants to provide a natural food source for birds as having bird feeders is not always beneficial to the birds- as this common feeding ground, feeders can lead to disease spread and ease of predation. They can also attract other animals as well such as rodents, raccoons and even bears. 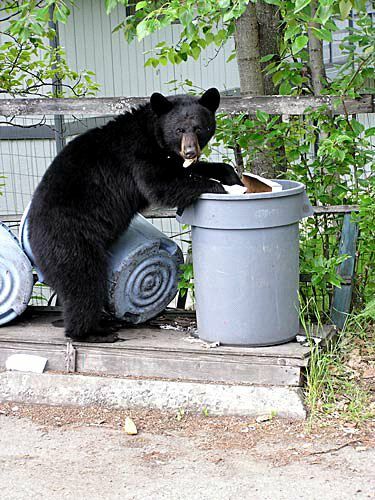 Livestock: Predatory animals like bears and cougars may be attracted to your home if you have unsecured livestock. A properly maintained electric fence is a proven method of reducing conflict and loss of livestock. Message us for details! BBQ: Clean after every use and store indoors when possible. Fruit trees: Pick your fruit before it ripens and prevent windfall. If you have fruit trees that need picking or would like fruit for pies/baking, contact WWS to put you in contact. Beehives: Attract wild animals, ensure your yard is protected by an electric fencing to keep out wildlife. Compost: Avoid putting meat, cheese and other smelly foods in your compost. Aerate frequently to prevent odours from attracting wildlife. Keep a clean yard and STASH YOUR TRASH! For species-specific information, to request a sign or if you are interested in volunteering — contact us!